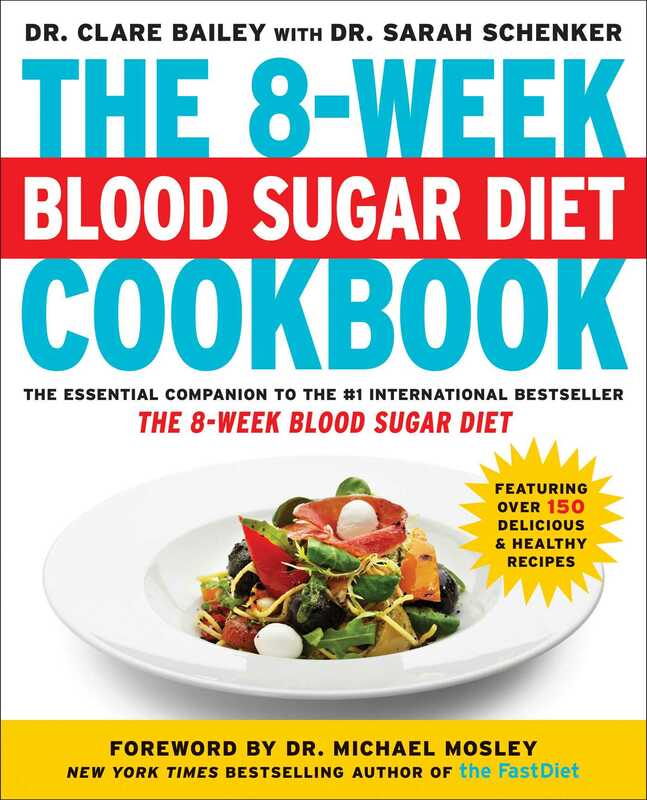 Combat diabetes with this essential companion to New York Times bestselling Dr. Michael Mosley’s groundbreaking The 8-Week Blood Sugar Diet, featuring over a hundred delicious and healthy recipes. The 8-Week Blood Sugar Diet revealed new, staggering scientific studies on diabetes and demonstrated a revolutionary 8-week plan, including an 800-calorie daily diet, to reverse the disease’s effects. Now continue battling diabetes with these simple and delectable recipes that can lower your blood sugar level and help you shed unwanted pounds. Also discover updated nutritional advice, tips for home cooks of every skill level, and detailed menu plans. It’s never too late to fight off diabetes, and with the recipes in The 8-Week Blood Sugar Diet Cookbook, it’s possible to ensure more long-term health benefits in an easy and effective manner! Whisk the eggs in a cup or bowl with a fork. In a small nonstick pan, heat the butter gently until it melts (don’t allow it to brown), then add the eggs. Stir slowly and continuously with a wooden spoon or spatula for 1 to 2 minutes to produce a creamy consistency. Remove from the heat while it is still runny in places as it will go on cooking in the pan. With chili: add flavor with a scattering of red pepper flakes or fresh chives. With smoked salmon: (adds 90 calories) this is Michael’s routine breakfast. Scramble 2 eggs, and serve with 2 oz chopped smoked salmon and freshly ground black pepper. You can also add 1/4 medium avocado, sliced (adds 60 calories). With fried mushrooms: (adds 20 calories) mushrooms are low in carbs, high in protein and fiber and amazingly filling given their low calorie count. They also contain high levels of vitamin D. Fry 3 oz mushrooms in a nonstick pan with a drizzle of oil until golden brown (4 to 5 minutes). Meanwhile, prepare the scrambled eggs. Assemble on a plate and season with salt and black pepper. Green eggs and ham: (adds 50 calories) this is an excellent way to use up leftover greens from the night before. Simply stir in a handful, or some fresh spinach. Serve with a couple of slices of ham, 11/2 to 2 oz.